Did you know that, as of 2015, one in five adults report age discrimination in healthcare settings? Ageism in healthcare is very real and common in healthcare, especially for the elderly. It can cause surprising effects on a senior’s health. If they experience ageism frequently, older adults are more likely to develop new or worsened disability, a study says. Keep reading to find out more about ageism in healthcare and its effects on the elderly population. What is Ageism in Healthcare? Simply put, ageism in healthcare is prejudice or discrimination due to a person’s age in a medical setting. While one may think that the medical field would be above such discrimination, ageism in medicine is, unfortunately, still prevalent today. There are only about 7,000 geriatricians in the United States, and this number is steadily decreasing. Despite the need for geriatricians, many medical students have come to view the specialty as frustrating, uninteresting, or unrewarding. As a result, many doctors-in-training rarely consider pursuing geriatrics as a profession. This negative stigma against the care of older adults makes recruiting gerontologists a tough job. Elderly adults are often told that the way they are feeling is simply due to aging. For example, many healthcare providers may chalk a senior’s aches and pains up to “normal signs of aging,” and this is a clear example of ageism in healthcare. As a result, these patients do not get proper care, and they’re forced to believe that their symptoms are just a part of aging. At the same time, we can also see ageism in the over-treatment of elderly patients. For example, the US healthcare system aims to give universal prostate cancer screenings for older adults. While seemingly beneficial, these screening can lead to exaggerated diagnoses of harmless tumors, causing elderly adults to have unnecessary treatments and surgeries. A primary cause of under and over-treatment of older adults is the lack of communication between the doctor and patient. 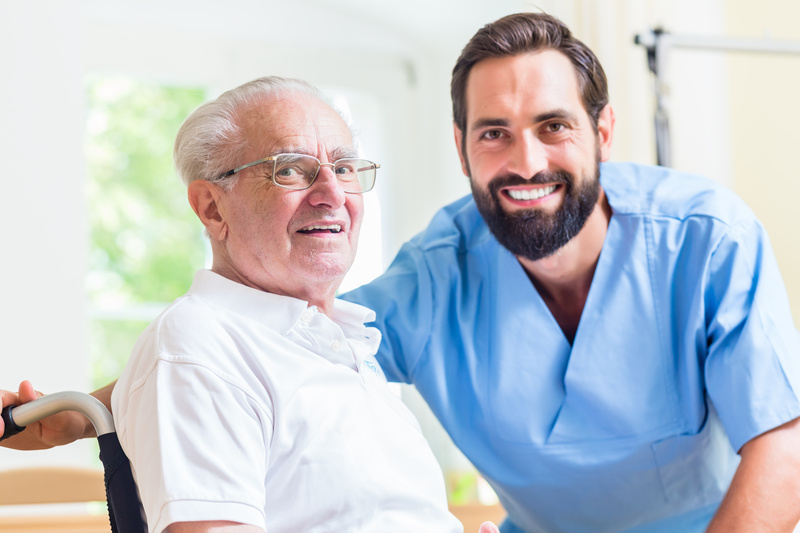 Some elderly patients complain that healthcare providers speak to them as if they are children, using a high pitch and exaggerated tones and volumes. This can severely damage the doctor-patient relationship. The first step to addressing this problem is admitting that it actually exists. While not always obvious, ageism is present in many healthcare settings. To combat it, we should learn to disregard the unpleasant perceptions about aging. After all, aging is a normal part of life, and it doesn’t necessarily mean disability, disease, or decline. Dr. Ouchida and Lachs mention that, in order to combat ageism, the healthcare system should “learn to recognize and appreciate the heterogeneity of older adults.” Essentially, this means that we should recognize and respect the ways that older adults are different in terms of functional status and health. All in all, eliminating ageism is healthcare is primarily about changing our views on aging and fostering a future that frees the elderly from discrimination. What are you thoughts on ageism in healthcare? Let us know in the comments section below!